he reserve covers approximately 5 acres (2 ha.). 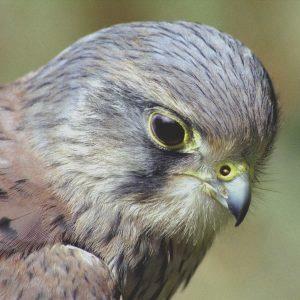 The site was purchased by the Radnorshire Wildlife Trust in 1992 with a generous donation from the Vincent Wildlife Trust. The tunnel serves as a hibernaculum for bats. There is no public access to it. The railway was formerly part of the Mid-Wales line which closed in 1963. The tunnel entrances were bricked up and grilled to prevent any disturbance to the hibernating bats. The scrub on the west facing bank is coppiced to encourage a wide range of invertebrates, small mammals and birds, and the meadows are cut every summer to encourage a more diverse botanical community to flourish. There are several public footpaths that link with the reserve, or you might like to carry on up the trail to the Elan Valley. Its a good place to put a rug on the grass and picnic! Bats, including Daubenton's, long-eared and Natterer's hibernate in the tunnel. On the grassy embankments a number of interesting plants are found, including Wood Bitter-vetch, Broad-leaved Helleborine and Prickly Sedge. There is an abundance of Willowherbs and rare lichens include Abrothallus bertianus and Arthonia clemens. Nationally scarce or country-rare Woodlice have been recorded as well as the local snail-hunting ground beetle Cychus caraboides. Inside the tunnel the cave spider Meta menardi hangs its webs. This reserve is easily visited via the Elan Valley Cycle Trail and gives fine views over Rhayader and the local countryside. This is a very easy walk with kites and buzzards swooping overhead, surrounded by some great views of Mid Wales. Laura Ashley's old family home "Rhydoldog House" can be seen tucked into the hillside. The best way to access Rhayader Tunnel is on the Elan Valley Trail which runs through the middle of the reserve. It starts on the western edge of Rhayader. Take the road signposted to the Elan Valley (B4518), and find the Trail car park on the edge of town, just before the turning to Aberystwyth Mountain Road on the right. Walk or cycle up the gentle hill on the Trail for about 100m and then you will enter the reserve.